We recently attended the annual New England Society of Children’s Book Writers and Illustrators Regional Conference in Springfield, Massachusetts, and one of the things we love about that conference specifically, and great writers conferences in general, is getting to sit in on lectures and talks by people we don’t know, but should know. One of those people is Dana Meachen Rau. David happened to stumble into her class and ended up learning so much about how to create memorable and complex characters, how inanimate objects can be used to help communicate the emotional state of our characters, and so much more. Now that the dust has settled on that conference, we thought we would pick her brain about books, writing, and all that jazz. The Book Doctors: How did you become interested in writing and drawing as a kid? What were your early inspirations and why? Dana Meachen Rau: Truly, I don’t remember how it all started. My parents always encouraged my early attempts at writing and drawing. Creative expression is empowering, especially to a little kid. I do remember a lot of play. I had a brother who was always a willing participant—he’s blind, and together we invented whole worlds that neither of us could see, but that felt completely real. Instead of a sandbox in the backyard, we had a dirt hole, where we planned to dig a tunnel to a multiple-room clubhouse. (Imagine a time before apps when kids played in dirt holes!) The clubhouse never happened, of course, but that didn’t seem to matter. As a reader, I didn’t devour every shelf of the library. Instead, I had a few well-worn books that I read countless times—Charlotte’s Web, Encyclopedia Brown, and my absolute favorite and forever inspiration, Charlie and the Chocolate Factory. When I reread it recently, I tried to pinpoint what drew me in so passionately as a kid. It must have been the visuals, the silly language, and the underlying creepiness. It was subversively magical. TBD: How did you get a job editing children’s books, and what did you learn from this that you could apply to your own writing? DMR: After college, I wanted a job with a tangible end product, and that led me to publishing. Luckily, instead of having to move to big and scary NYC, I landed a job at a small children’s publisher in Connecticut—and I mean small. I was the only member of their editorial department, so I communicated with a bunch of freelancers—authors, illustrators, editors, consultants, designers. It was a crash course in children’s publishing. I moved on to Children’s Press, where I edited early readers and school-and-library nonfiction until my son was born and I began freelancing. My editorial work laid the groundwork for my writing career in ways I didn’t anticipate. It taught me the value of feedback and revision. I can self-edit while the manuscript is in my hands, but I can also let it go to all the fresh eyes that have a stake in the process. Everyone wants it to be the best it can be. TBD: Do you think it’s important to write every day? DMR: I suffer from journal envy. Many writer friends pour out their thoughts onto pages daily, and I’ve tried to be like them. But all I have to show for my efforts is a pile of journals with “Finally, I’m going to start writing a journal!” scrawled on the first pages followed by a bunch of empty ones. I just can’t make it happen. But it is important to write every day, and I do in some form. Often, it’s related to my current project. But sometimes it’s a lesson plan, a random idea for the future, a quick poem, or even an email. The purpose of all writing is to effectively communicate an idea or image. That’s an important skill to practice. That’s what writing every day is…practice. Even if I don’t have hours or even minutes to work on my latest project, at least I’ve been maintaining my writing skills. Then muscle memory kicks in when I have more extended time to write. TBD: How did you become a writing teacher, and what effect has that had on you as a writer? DMR: I developed a 10-week creative writing class for the Warner Theatre Center for Arts Education (Torrington, CT), to hone in on the basics of creative writing. I tested out writing exercises (some sane, some wacky). It was a chance to experiment. I realized I craved an extended relationship with students, so I sent out my resume to local colleges. When the University of Hartford needed an adjunct to fill out their Fall 2016 schedule, I jumped at the chance. I teach rhetoric, the art of persuasive writing and speaking, and while it might not seem to apply to creative writing, it has most definitely fed my work. I keep persuasion in mind every time I draft a scene between two characters who are manipulating each other. I think of rhetoric when trying how to sway a reader toward a certain understanding. The intentionality of each word choice applies to both rhetoric and creative writing. I’m still trying to find that perfect balance, though, between teaching and writing. My current work-in-progress novel has been pushed to the back burner while I navigate my way as a professor. But the benefit of the back burner is that the story is still stewing. Because time is more precious, my chances to write have become a treat to look forward to. When I do have time to write, I’m amped up, eager, and ready to dive in. TBD: What’s it like writing books for the wildly popular Who Is (Was) … series? And why are their heads so big? DMR: Out of the blue in 2013, I got a call from the Who Was editor. She had been reading a biography I had written more than a decade before, and thought my voice would be a good fit. Since then, I’ve written six books for the series, with another one waiting on my desk. Who Was has been one of the most fun series I’ve ever worked on. The process starts with full immersion. I surrounded myself with research, absorb it, map out a plan, and get writing. I don’t work linearly—each manuscript is like a sculpture. First I build the armature, then I slop on lumps of clay. I mold here, shape there, take bits away, add elsewhere. Each book has its own process and personality. Eventually it all comes together under the helpful guidance of my astute and savvy editor, Paula Manzanero. The best part of writing this series, though, is the reaction from kids. They love those big heads! All the covers (more than 150!) were illustrated by Nancy Harrison, but the idea for the big heads (and for the series) came from editor Jane O’Connor. She says the big heads were inspired by the caricatures that used to appear on the cover of the Sunday New York Times Book Review. She thought they would have fantastic kid-appeal. She was right. When I visit schools, the kids can’t hide their excitement over what they call the “Bobble-Head Bios.” Almost everyone has read at least one, some kids collect them, and they all have their favorites. TBD: Tell us about your road to publication and how you navigate the stormy seas of the book business. And how in God’s name does one person write 340 books? In 2013, I got the itch to become a student again, so I enrolled at Vermont College of Fine Arts to get my MFA in Writing for Children and Young Adults. Coming out of that program, I secured an agent, who’s currently marketing a middle grade and a picture book while I work on a YA novel. Through the years, no matter what the project, I grew as an author. I’ve also realized that there isn’t, nor should there ever be, a point of “arrival.” It’s healthy to give yourself goals along the way, but success is more about the development, patience, and perseverance of the journey. TBD: What is an objective correlative, and why is it so important? DMR: I first learned the term objective correlative in graduate school from author Tim Wynn-Jones, and it sounded so academic and important. But it’s quite a simple concept, at least how I interpret it—an author can use an object (setting or event) to correlate to an emotion. In other words, you don’t have to name an emotion to communicate it to readers, you can show it through sensory description. Suzy doesn’t have to say she feels neglected. Instead, Suzy can be looking at a dying, cobwebbed-covered plant on the windowsill that never gets any sun. That says neglected more than the word “neglected” ever could. The plant becomes shorthand for the emotion, so when the plant is reprised in the story, we feel “neglect” again. And then, if that same plant is thriving and blooming by the end, we feel the significance of that change, too. TBD: How do you inject emotion into characters in a book? DMR: For me, it all comes down to empathy—getting the reader to feel the same feelings as your character. I think of emotion as the engine of the story. A character’s wants and desires will drive what the character does (action/plot), what the character sees (setting), what the character says (dialogue), and what the character remembers (flashback). Everything in a story has to be in service to the emotions. To get readers to empathize with characters, the author has to empathize with his or her characters, too. If you can tap into your own authentic, vulnerable, core emotions when writing, then those emotions will show up on the page and transfer to the core of your reader. DMR: This is a great question! Lord knows I’ve needed all the writerly advice I could get my hands on through the years. Write what scares you…We often say we want to be bold and brave, but that’s not possible without fear. If you don’t think you’re a poet, write a poem. If you don’t think you could ever write YA, try it. You have nothing to lose, but everything to gain. You’ll most likely surprise yourself by easily conquering what you thought impossible. Find a community… Often the people in your immediate circle (spouse, kids, family, every day friends) don’t understand the writer part of you. You need to find a team. Teams have teammates, of course, who understand the game. But they also have cheerleaders to spur you on and coaches who offer advice to help you become the best version of yourself. Join a critique group, join the Society of Children’s Book Writers and Illustrators, find your people. Give yourself permission to play…for so long I thought I needed to be efficient with my writing time. But when I experiment, I create an unexpected (and better) result. Turn off the side of your brain that tells you your writing must have a purpose (and even worse, that it has to be good!). In other words, dig in the dirt hole. You never know what you’ll discover. Dana Meachen Rau is the author of more than 340 books for children and young adults, including early readers, biographies, history, science, cookbooks, and craft books. Her most recent titles include Who Was Cesar Chavez? and Who Are the Rolling Stones? A graduate of Trinity College in Hartford CT, and Vermont College of Fine Arts in Montpelier, VT, she currently teaches writing at the University of Hartford. 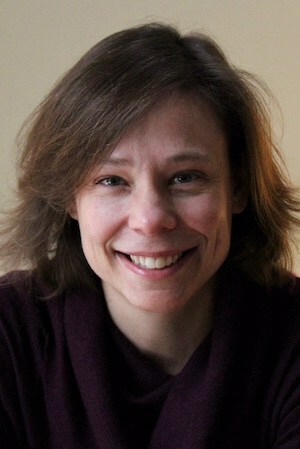 To find out more about her books and her blog, visit www.danameachenrau.com.